Arnold Clark is known for being one of the must trustworthy car leasing companies. It's also one of Europe's major independent motor dealers. Therefore, they offer a large array of cars of almost every brand, catering to every different need. Potential car buyers can check Arnold Clark for hot leasing deals by visiting their website and by checking out these featured offers. Arnold Clark currently offers a very attractive deal: a brand new Renault for only £129 per month. You can choose between Twingo 3DR and Clio 3DR. Twingo 3DR comes with one year road tax coverage for an additional pay £30. Both cars feature cd/mp3 player, front fogs, and a mileage of 67 (Clio 3DR) and 57 (Twingo 3DR) miles per gallon. This deal includes the option to purchase the car at the end of the leasing contract. Months paid will be discounted from the total prize of the car. 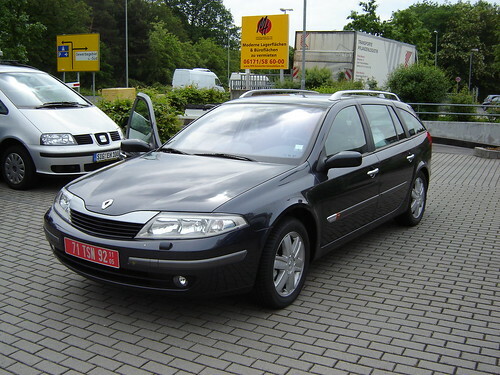 Arnold Clark has several special deals for leasing Renault cars. The Renault Megane Coupe is the finest model they have to offer. You can make a leasing contract in order to get this car for £209 per month. Taxes are not included, neither is the insurance, for which you would have to pay an additional fee. Megane Coupe does not consume much gas since it can cover up to 50 miles per gallon. It is equipped with usual features such as air conditioning, mp3/CD player, among others. Renault 5Dr is also a great deal for leasing, going for £189 per month. This is a small car ideal for covering long distances without spending too much money on gas. As well as the Clio and Twingo 3DR, you can select a special type of contract in which your leasing payment counts as if you were buying the car.